“Tanzwütige Kunst; Art-Galerie zeigt Arbeiten internationaler Fotografen”, Siegener Zeitung, February 27th 2007, page 18. “Bilder vom Tanzen von Fotografen aus der aller Welt”, Westfalenpost; Zeitung für Siegen, February 26th 2007, page 2. “Heiße Sohlen festgehalten auf Celluloid”, Westfalenpost; Zeitung für Siegen, February 23rd 2007, page 4. Otton, William G. / Locke, Michelle W., "The legacy continues 1997-2006", catalogue of the Permanent Collection of the Art Museum of South Texas, Corpus Christi, TX. "Houston Art in Shanghai", a documentary of "Houston Contemporary Art", directed by Christopher Zhu, co-produced by TV station of Minhang District, Shanghai and Jacob Video Studio, 08-18-2006. 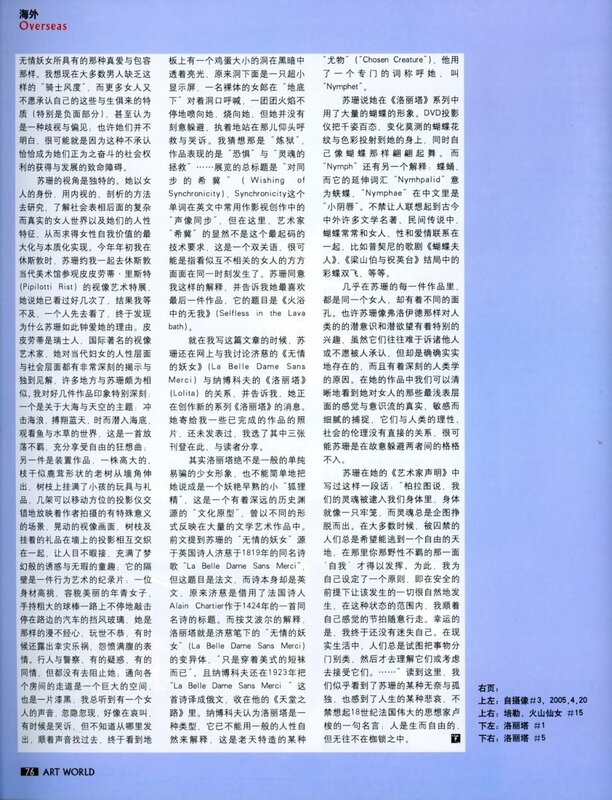 Liu Jingjing, “Houston in Two Seconds – in Retrospective of Houston Contemporary Art”, Art World, Panorama (September, 2006), pages 64-69. Johnson, Patricia C., “Shanghai surprise; Lauded, short-lived exhibit brought in 20,000 visitors”, Houston Chronicle (Zest), August 18th 2006. 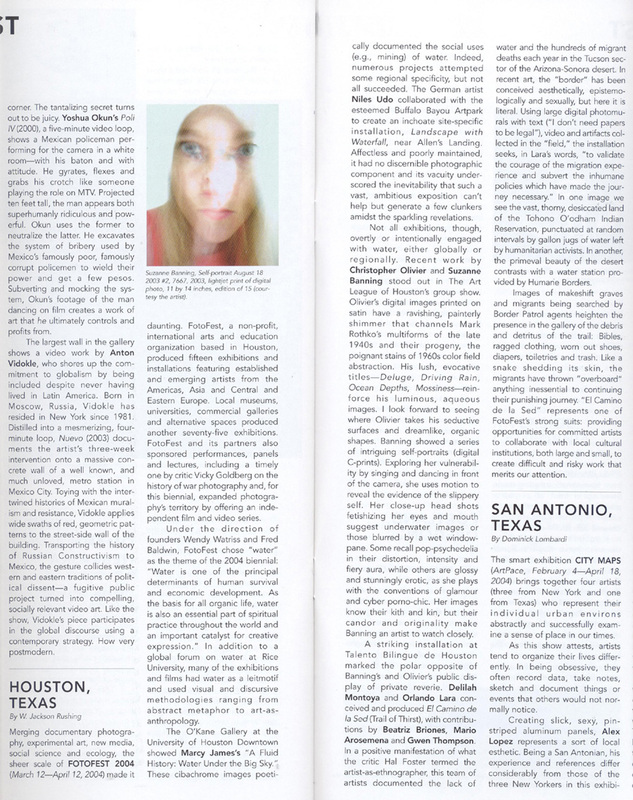 Anspon, Catherine D., ArtNotes, Paper City, November 2005. 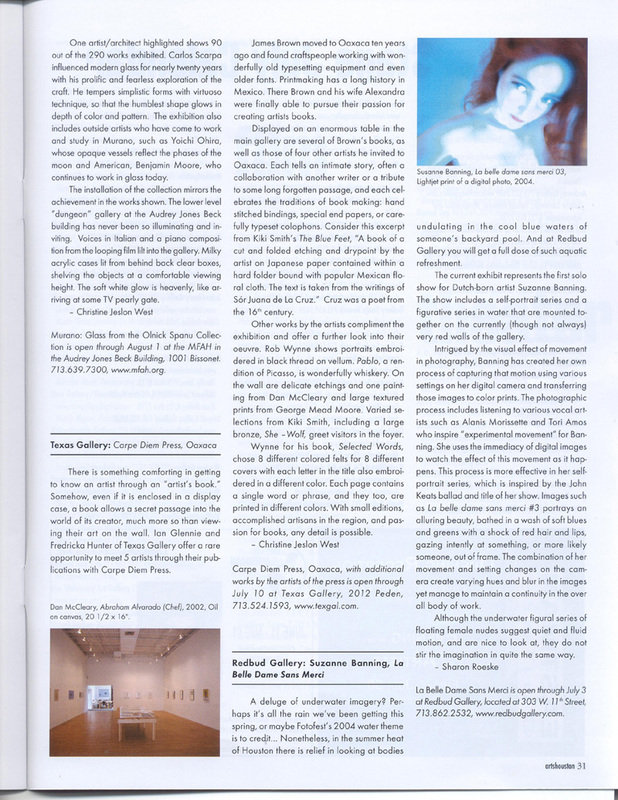 Anspon, Catherine D., ArtNotes, Paper City, August 2005. “New American Talent: The Twentieth Exhibition” catalog. (illustrated) Arthouse at the Jones Center, Austin, TX. Devadanam, Steven, “This week’s Day-by-Day Picks”. Houston Press, Night & Day January 13, 2005. Anspon, Catherine D., ArtNotes, Paper City, April 2004. Anspon, Catherine D., ArtNotes, Paper City, February 2003. This page was last updated on 08/20/07.